After United’s 0-0 draw with Chelsea last night, Jose Mourinho urged Wayne Rooney to come out in public and state where he wanted to play his football this season. 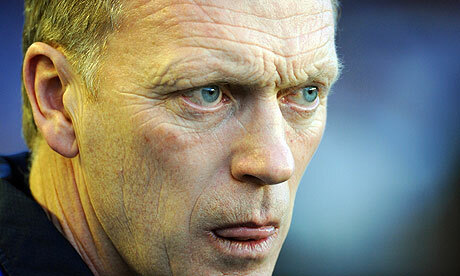 However, the chances of the England international handing in a transfer request are very unlikely. Whether Rooney is unsettled at Old Trafford or not, and whether he wants to play for Chelsea or not, he will not say it in public. 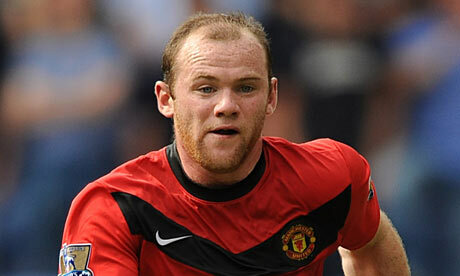 With a handful of days left in the transfer window, Rooney would limit his chances of first-team football. What would happen if he stated he wanted a move but United refused to sell? He would be shooting himself in the foot with the fans that sang his name last night and compromise his chances of playing regularly for the Premier League champions. Mourinho is right that players transfer to and from rivals on the continent all the time – unfortunately for him it happens very rarely in England. Why won’t Chelsea give Romelu Lukaku a chance? Chelsea have started three different strikers in their first three games of the new campaign. Fernando Torres, Demba Ba and Andre Schurrle have all failed to hit the back of the net – so, why are the Blues not giving Romelu Lukaku a chance? The 20-year-old Belgian sensation had a flying season on loan at West Brom last term, scoring 17 Premier League goals in a middle of the table side. How many would he score if he was given a consistent run in the Chelsea team? He is strong, can hold the ball up, is good in the air and has an eye for the onion basket. 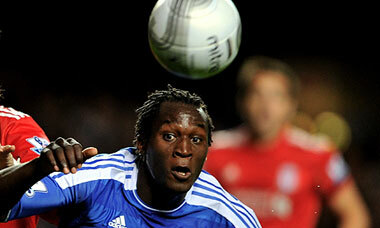 No wonder he is constantly compared to Didier Drogba – he has the potential to be just as good as the Chelsea legend. Against United if Lukaku had played instead of Schurrle, he would have held the ball up and give the visitors an out ball. The threat of his pace in behind would have forced the United defence to drop deeper, allowing more space for Eden Hazard and Oscar. Chelsea – forget signing Rooney or Eto’o – you have an awesome striker on your bench. As Chelsea hunt Cavani – is Torres’ time finally up? “There’s no better place to be than at Chelsea with Mourinho”. These were the unequivocal words of Fernando Torres recently when questioned on his future with Chelsea. Words that exude nothing else but an unmistakable desire to ply his trade at Stamford Bridge this coming season. Compare these words with the “so-so” that Jose Mourinho mumbled recently to describe Torres’s time at Chelsea and you would be forgiven for thinking that things don’t quite add up for Spain’s number 9. “So-so” – not a direct denunciation of Torres but certainly not a declaration of faith from Chelsea’s new manager either. Mix this with Mourinho’s not-so-secret desire to bring in Napoli’s Edinson Cavani and the signs do not look good for Torres. The Chelsea faithful are unlikely to shed many tears if Torres’s departure means Cavani is brought in with the two strikers’ goal-scoring records last season contrasting starkly. 26-year-old Cavani scored a staggering 38 goals in 43 games, 29 of which were in Serie A. Torres, now 29, managed 22 in 64 for Chelsea in a season that many considered his best in blue – just eight of those 22 goals however were Premier League goals. To put it bluntly, Cavani is the player Chelsea thought they were signing in Torres from Liverpool – and more. Any fans doubting Cavani’s ability to make the notoriously difficult transition from Serie A to the Premier League should take solace in the success of strikingly similar players Carlos Tevez and Luis Suarez on these shores. One element that Torres has in his favour however is the competition Chelsea may find in landing the understandably much sought-after Uruguayan. PSG are widely reported to have made Cavani prime target number one this summer and are more than capable of outspending even Chelsea yet Cavani, who was relatively quiet in the Confederations Cup, is believed to be eager to ultimately prove himself in the Premier League. If Chelsea are unable to nab the Salto man it still remains difficult to imagine Mourinho’s Chelsea lining up against Hull in August with Torres or Demba Ba, who managed just the two league goals last term, leading it. Mourinho is likely to line his side up with just the one striker more times than not and he understandably won’t want to hand that responsibility to a player whose light has significantly faded since his Liverpool days. Stephan El Shaararwy is another signing that Chelsea have strongly been linked with and one that Torres, like with Cavani, is supposedly being used in as a bargaining tool. 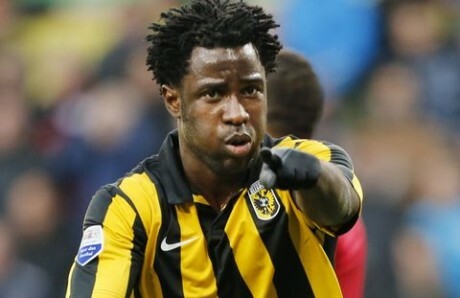 Chelsea are unlikely to want their most expensive acquisition festering on the bench and are perhaps wise to use him as makeweight for the future development of that forward line. Chelsea and Torres are believed to be holding talks this week over his future at the club with the Spaniard hoping to persuade his new manager that he still has a role to play at the club, be that with a new strike partner or not. He’ll certainly not want his roll to be as a deal-maker in the negotiations for his eventual replacement. Torres is still likely to demand a costly fee and, at his best, remains formidable in every department in front of goal. Enquiries for his services will certainly not be shy in coming forward yet the problem for Torres would be convincing potential suitors that he is able to recapture the scintillating form he has shown slivers of at Chelsea and that he is worth a gamble with what would surely be a pricey fee. If this is indeed the end of Torres’s spell at Chelsea then the question that remains is where next for ‘El Niño’. Perhaps the most likely destination is wherever Chelsea want him, whether that is in Naples or Milan. Barcelona are rumoured to be interested in Torres as a possible replacement for David Villa whose form has, for him, waned since his injury. Torres though has talked down this link, instead deciding to focus on Chelsea and his wish to benefit from the tutelage of Mourinho. After two-and-a-half underwhelming seasons at Chelsea and with Mourinho mercilessly tracking Europe’s elite however, that wish may well be left unfulfilled. Does Jon Obi Mikel have a future at Chelsea? Chelsea fans can be forgiven for watching Nigeria during the Confederations Cup and wondering who the majestic, elegant play maker in the number 10 shirt was. With his inventive range of passing, ability to cover ground, make tackles and interceptions, he pulled all the strings in a dangerous looking attacking unit. ‘He’d be a good signing for us’ you could forgive them for thinking, in need as they are of that type of player in deeper midfield areas. And then the camera zooms in on his shirt. And it’s Jon Obi Mikel. Jon Obi Mikel? So why was he playing like that for Nigeria, but seems to have lost his way at Chelsea? Can he forge a future for himself under Jose Mourinho or will he need to move on? 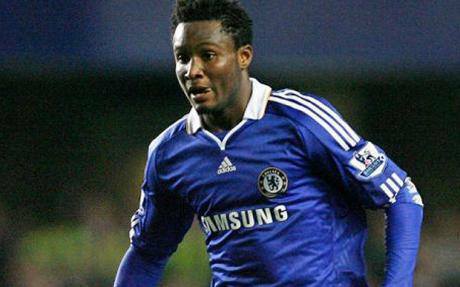 Mikel played in Brazil like the player Chelsea thought they had signed for £16m in 2006 when he was just 19 and has intermittently shown at Stamford Bridge. Since being at Chelsea he has changed from a buccaneering all rounder to more of a defensive shield, and it doesn’t really suit him. His defensive discipline and intelligence isn’t his strong point. In his more restricted role as a defensive shield he isn’t able to show off his athleticism. He is required to play a very simple passing game at Chelsea, always moving the ball on quickly and easily to his team-mates. For Nigeria he is the absolute fulcrum of the team, with freedom to exploit his physical gifts and show off the kind of creativity and passing that he seemed to have kept hidden at Chelsea. He’s put himself firmly in the shop window with plenty of teams able to find use for him and his suddenly rediscovered talents. But has he also forced his way in to Jose Mourinho’s thinking? One of the few weaknesses at Chelsea is that they don’t have a pure deep lying playmaker. Ramires is an athlete and Frank Lampard is able to grab goals and set a decent tempo. David Luiz has a nice range of passing but doesn’t yet utilise his talents in the way that a Pirlo, Xavi or Schweinsteiger does. Could this be where Mikel fits in again suddenly? He’s been so far off the radar to play this role for Chelsea that it is almost forgotten what abilities he has. 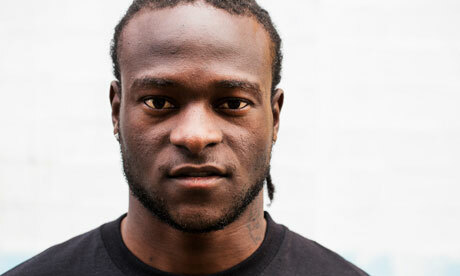 He did a good job in a playmaking role with a Nigeria side who showed exuberance and threat in attack. 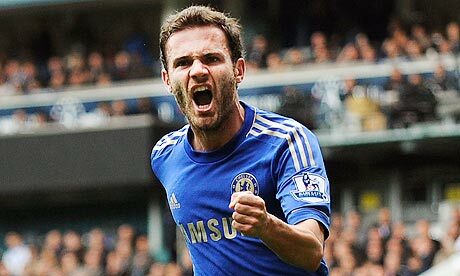 However, his skills are not really refined enough to play the role for Chelsea, and a fresh start makes more sense. It’s very hard to say to the rest of the Chelsea squad that the player who used to be their shield, is suddenly their main passing presence. Having played with him for several years, it’s going to be too hard to change the mindset of the squad to go from trying to receive the ball from him to suddenly looking to pass to him. Mikel needs to be signed to be the main man somewhere else. Galatasaray have been linked but the transfer fee was ridiculous. There’s no way Galatasaray can say on the one hand that Wesley Sneijder can be had for £16m and then immediately spend it on Mikel. Chelsea could probably demand something like £8m though which is a fair price for a player who hasn’t consistently shown that he can do this role for a while at club level. He probably needs to leave the Premier League for a slower environment. Serie A would seem to be a perfect league for him where his physicality would be an advantage but the pace of the game is slower to give him more time. Mikel really needs a fresh start and an opportunity to be the main man somewhere else. He does an OK job as a screening midfielder for Chelsea but no more. His defensive nous hasn’t really improved so he isn’t an optimum solution for the club. A move elsewhere, and a chance to show the kind of skill he showed in Brazil would suit him more. 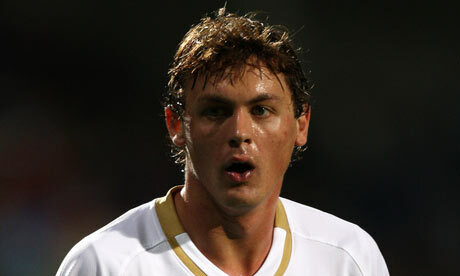 When Chelsea bought David Luiz from Benfica in January 2011, part of the arrangement saw them throw in young Serbian midfield destroyer Nemanja Matic in exchange. Matic had been signed after starring in Serbia and then went on to have a dominant loan spell in Holland with Vitesse Arnhem, which clearly caught Benfica’s eye. The deal for David Luiz was done on January 31st, so perhaps they threw Matic in without fully thinking it through. Perhaps the rush of the approaching deadline saw them make a decision they may not have done if they’d had more time. Two and half years later and Chelsea are suddenly short of a destroying midfielder who can impose himself on to the opposition. They’ve gone back to Benfica and been quoted £38m for him. It’s clearly an incredible amount and despite his obvious quality it’s unjustifiable. Chelsea are being punished for a poor decision but signing him for £38m would make that pale in comparison. At 6’4′ Matic is a big physical presence, imposing himself like Yaya Toure. He strides long and covers a massive amount of ground. He’s a top quality player and would make for an excellent addition to Chelsea who are thoroughly lacking a dominator in midfield. Mikel hasn’t become what he was supposed to and there is no one else with physical presence. Ramires runs hard, Lampard is intelligent but neither are like Matic. However, he is the type of player you can’t justify spending huge money on. Midfield destroyers just aren’t valuable enough to pay huge money on. Chelsea would probably be over paying at £20m, never mind £38m. At that price he’d be more than Sergio Aguero cost Man City. The destroyer role is an important one but not to pay that much for. The big mistake was giving him away in the first place. They rated him very highly, so much so that he’d already seen first team action at Chelsea. His type is very hard to find, and to find one cheaply and then give him away was a terrible mistake. Chelsea had their long-term solution in house but gave him away as they were scrambling to improve late in January. This is a prime example of why doing business in January is so risky. But, Chelsea just have to bare their mistake. Paying £38m to rectify it would be insanity. What it essentially means, is that adding on the £24m they gave Benfica, they would have paid them £64m for David Luiz. Paying £38m for Matic would make David Luiz the third most expensive player of all time. When you also consider that Luiz is being talked about as possibly moving to Barcelona for around £30-35m it looks even worse. Matic is an excellent young player. He has the ideal build to be a massive presence in the Chelsea midfield. Ideal for the Premier League. This is exactly why Chelsea signed him in the first place, and they should have kept patient with a player who was obviously highly rated internally and probably on his way towards the first team. They made a mistake giving him away but to compound that by buying him back at such an incredible amount would be terrible business. Do Chelsea own Lazar Markovic’s rights? For many months Chelsea have been linked with Serbian wonderkid Lazar Markovic so it came as a bit of a surprise when Benfica last night announced on their club website that they had in fact signed him, for five years to boot. The sense of confusion was then added to when the chairman of Markovic’s old club Partizan Belgrade was quoted as saying ‘It is true, Chelsea will send Markovic out on a loan for two years.’ So what’s going on? How can two clubs both claim to own the same player? The truth could be a little of both. Chelsea have a recently established history of loaning players to countries with more favourable work permit restrictions to continue their development. The loaned Alex to PSV in order for him to accrue Dutch national qualifying time and loaned Slobodan Rajkovic, another Serb, to various Dutch teams for the same reason. If they were to return to the Chelsea first team squad they would do so having attained Dutch residency, thus making eligible for registration as an EU national and therefore exempt from work permit laws. In the scenario where Chelsea own him themselves; as a 19 year old with only seven first team international caps, Markovic would not qualify for a work permit for Chelsea. Sending him to Portugal would be a way of ensuring that he does. He can gain Portuguese residency far more easily than in England, and would also be playing in a good league for a team that is perennially in the Champions League. The links between Benfica and Chelsea have tightened over recent years and this could be a way of utilising them. The two clubs are still on good terms after the deals for Chelsea to buy Ramires and David Luiz that saw Benfica net yet another Serbian, Nemanja Matic, in to the bargain. The two clubs were of course in Amsterdam together for the Europa League final and it’s not hard to conceive of them discussing a way in which Markovic could end up at Benfica for a little while before heading to Chelsea. The other option is that Benfica actually do own him but that he is parked there with Chelsea owning a first option on him should they choose to take it up. If the clubs wanted to avoid accusations that they had worked together on the deal it possibly is why there is so much confusion. So is Markovic worth all this confusion? The evidence suggests that he is. Last season he scored seven and assisted seven in just 19 games from his left forward position. He is quick, direct and skilful, the qualities which both Chelsea and Benfica look for in their forwards and attacking midfielders. To have gained seven senior caps at just 19, whilst being injury hit last season too, is very impressive. In fact, he was only 19 in March, so a lot of his achievements came when even younger. The only way for this to all be cleared up would be for Chelsea to come out and clarify their position but it looks like one of two things. Either Chelsea bought him and loaned him to Benfica or the two clubs have a gentleman’s agreement forged on recent good relations that sees Markovic go to Lisbon and probably to Chelsea in future.